Oast houses across the UK stand as a testament to the history and heritage of our country. 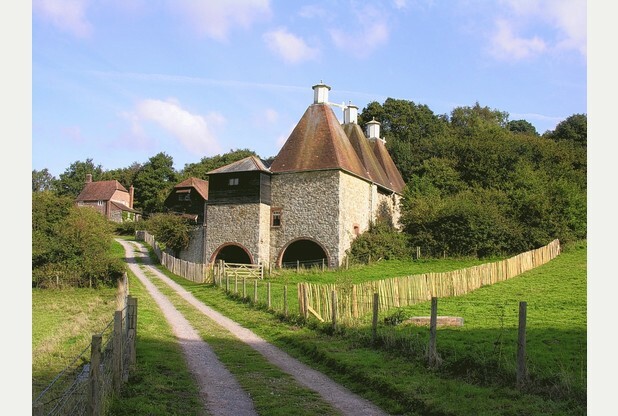 Although you can find oast houses in countries across the world, from Belgium and the Czech Republic, all the way to Australia, where they are known as hop kilns, they are synonymous with our stunning English countryside. An oast house in Sevenoaks was recently revealed to be abandoned and left derelict, a shadow of its former beauty, with one oast collapsed and tarpaulin covering another of the buildings. Dating back to the 15th century, it’s a sorry state to see such a magnificent piece of history rot away. Although this is an extreme example of lack of maintenance and care, it’s not a world away from some of the oasts that we’ve visited over the past 75 years. Oast cowl repair and maintenance is vital. By carrying out regular maintenance you’ll ensure that your cowl is ready for the Great British weather, and help avoid costly repairs needed over time. Dude & Arnette recommend repairing and repainting your cowl every seven years, but each cowl is unique, and depending on whether we carried out the original work, you may have leeway with this timeframe. Visit our Contact Us page, where you’ll find all of our details, or call us on 01622 725 898 to arrange a no-obligation assessment and quote from our director Darren Hole.